Production budgets are being cut more and more. One thing you shouldn’t cut is a good hearty lunch to keep your crew energized and motivated to do their best work. 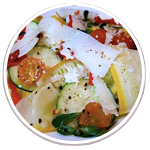 Dine With 9 Catering will provide a variety of meal options so lunchtime is never boring and always fulfilling. 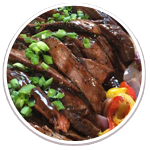 Call us today and we will design daily menu options suited to your taste and budget. Low Budget? Ask how we can design a menu to suits it!